The major international oil companies have gradually increased their focus on LNG and LNG as a marine fuel, this is very good for the industry. 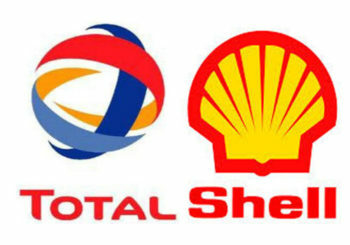 Total and Shell are positive for LNG as a marine fuel. ‘All in all, the business case [for LNG] is ok and I would recommend that any of you who invest in a new vessel look at this option,’ says Jerome Leprince-Ringuet, Managing Director of Total Marine Fuels Global Solutions (TMFGS). Speaking during a recent industry forum in London, Leprince-Ringuet said marine LNG was ‘the best option because it’s clean’. Leprince-Ringuet acknowledged that while LNG goes a long way in reducing shipping’s environmental footprint, for some, it does not go far enough. Citing reports by the international Energy Agency (IEA), among others, Leprince- Ringuet estimated that LNG demand would ‘be in the range of 10 million tons’ by 2025. He then explained why demand for natural gas as a marine fuel had not grown as quickly as some had predicted. In its newly-published LNG Outlook 2019, Shell has predicted that the marine LNG market is ‘poised for growth’. The oil major is projecting that, from almost a standing start today, LNG in marine could account for sales of 10 million metric tons (mt) a year by 2025 and more than 30 million mt a year before 2035. Shell looked at the spread of LNG-powered vessels currently in operation or on order. Car passenger ferries topped the list with almost 40 vessels in operation and another dozen or so on order. The cruise ship sector appears to be the fastest growth area for LNG take-up: the world’s first LNG-powered cruise ship set sail in the fourth quarter of last year, but there are around 30 more LNG-fueled vessels reportedly on order. Shell also LNG what it saw as the marine LNG highlights from 2018.